You see them every day: humble gray canisters hanging on roadside power poles. Most of us give surprisingly little thought to these giant soda cans with wires, but without transformers, life as we know it would come to a dimly lit halt. Transformers are the workhorses of the power grid, converting dangerous high voltage into a usable tool that we welcome into our homes. 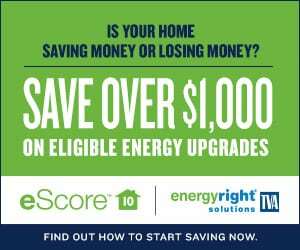 Energy moves more efficiently at high voltage, so most power lines operate at 14,000 volts, something that would never be safe inside the walls of a typical home or business. Transformers, as their name suggests, change this energy into something far more manageable to power our lights, heating-and-cooling units, appliances and electronics. Utilities around the world need millions of transformers each year, and many of them are made right here in Tennessee. 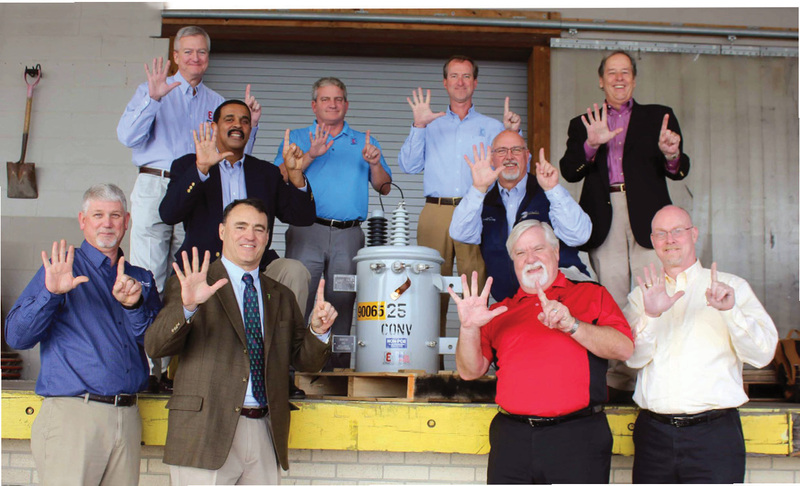 On Jan. 3, the Electric Research and Manufacturing Cooperative — Ermco — delivered its 6 millionth transformer to another Tennessee cooperative, Duck River Electric Membership Corporation in Shelbyville. 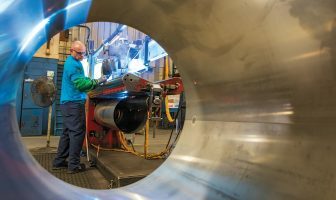 Most Tennesseans are familiar with energy, ag and telephone cooperatives, but there are actually several other kinds, including manufacturing cooperatives like Ermco. Like other co-ops, manufacturing co-ops are owned by the people they serve. Josh Henson, an Ermco winder, carefully wraps cores for transformers at the cooperative’s manufacturing facility in Dyersburg. 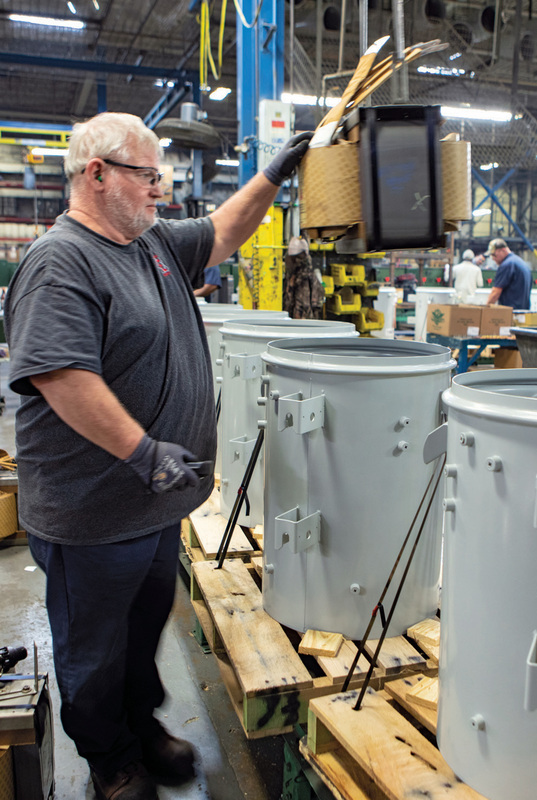 Ermco traces its history back to the late 1960s when electric co-ops in Kentucky, Arkansas and Wisconsin started their own transformer manufacturing plant. The first unit was produced in 1971. Today, Ermco is owned exclusively by the Arkansas Electric Cooperative Association. Ermco employs 1,300 people at its Dyersburg campus where housands of transformers are made each week. In January, Ermco delivered its 6 millionth transformer to Duck River Electric in Shelbyville. Micah Luther makes a precise weld to build a transformer tank. Ricky Bell lowers a core into a transformer tank. 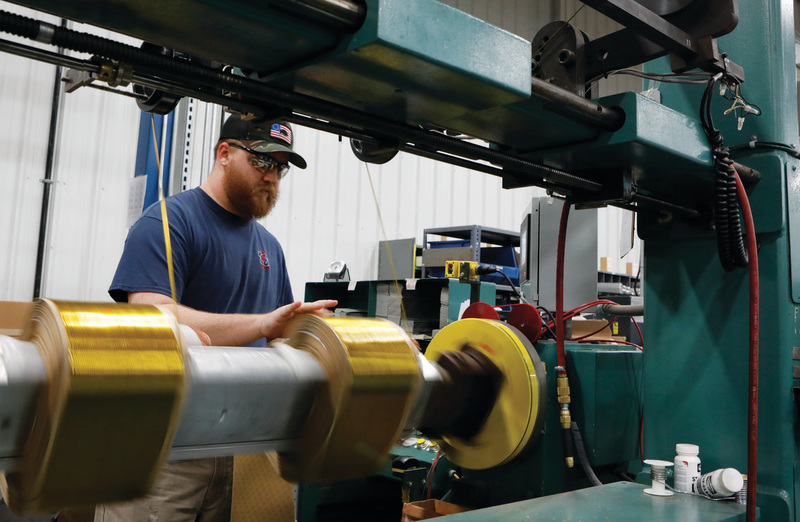 While Ermco has made significant investments in sophisticated manufacturing technology, much of the process is still done by hand, including the winding of thousands of feet of copper wire for each transformer core. In addition to power, electric co-ops provide enormous opportunity for the communities they serve. Electric co-ops in Tennessee are involved in economic development, youth leadership programs, broadband and other activities that help their communities grow and prosper. 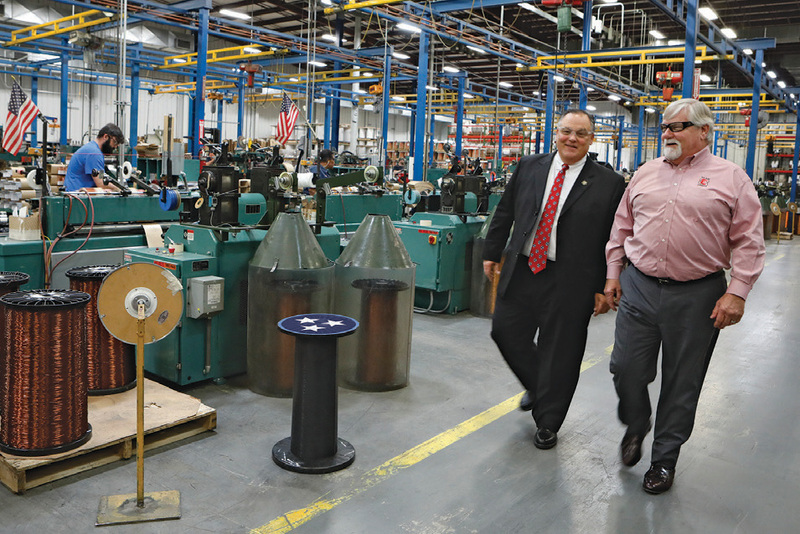 Ermco CEO Bill Reffert, right, and Dyersburg Mayor John Holden walk through the winding room of Ermco. 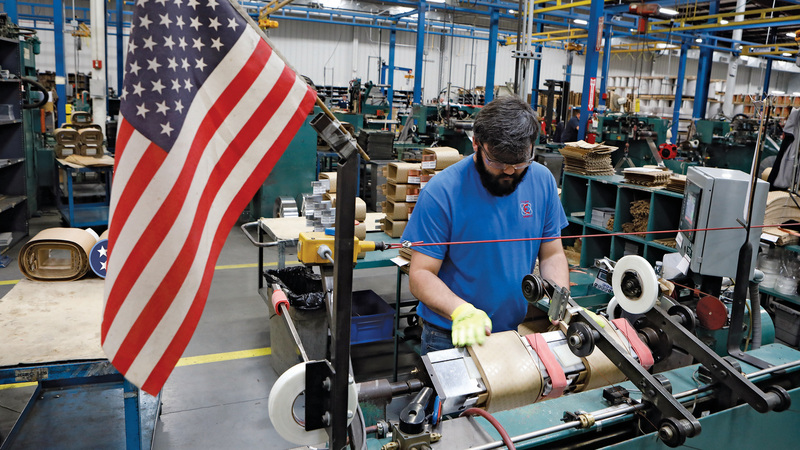 Ermco provides more than 1,300 jobs to Dyer and surrounding counties in northwest Tennessee. Ermco’s investment in Dyersburg generates millions of dollars in taxes and payroll that support the local economy. Even though it is a manufacturing cooperative, Ermco shares this same sense of community engagement. The leadership team is intentional about supporting Ermco’s 1,300 employees and the community they call home. Ermco inspector Aaron Moody tests a padmount unit before final assembly. These investments in people are paying off. Many of the Ermco team members have been with the co-op for decades and have proven they’re more than willing to put in extra effort during times of need. Following the hurricanes of 2018, Ermco responded to meet a high volume of orders coming out of areas impacted by the storm. In fact, the Dyersburg plant produced 10,000 transformers in one week. Visit tnmagazine.org to learn more about Ermco. Winder Kyle Klutts winds a coil for a pole-mounted transformer. Each coil requires hundreds of feet of copper wire. Transformers are used extensively in power transmission and distribution to convert power from one voltage to another. Regardless of the shape and size of the transformer, all work in the same manner. Energy flows into the transformer on one side and is transformed to higher or lower voltage on the other. At power generation plants like Tennessee Valley Authority dams or nuclear facilities, transformers are used to increase voltage for long-distance transport — power is moved most efficiently at extremely high voltage. 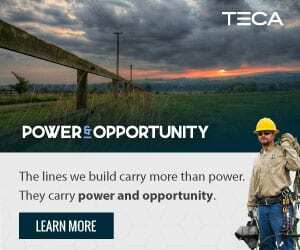 Large cross-country transmission lines may carry 500,000 volts or more. Your local electric co-op takes delivery of power at a substation, where a transformer is used to reduce the voltage. Typically, the power lines you see along the side of the road carry 14,000 volts or less. 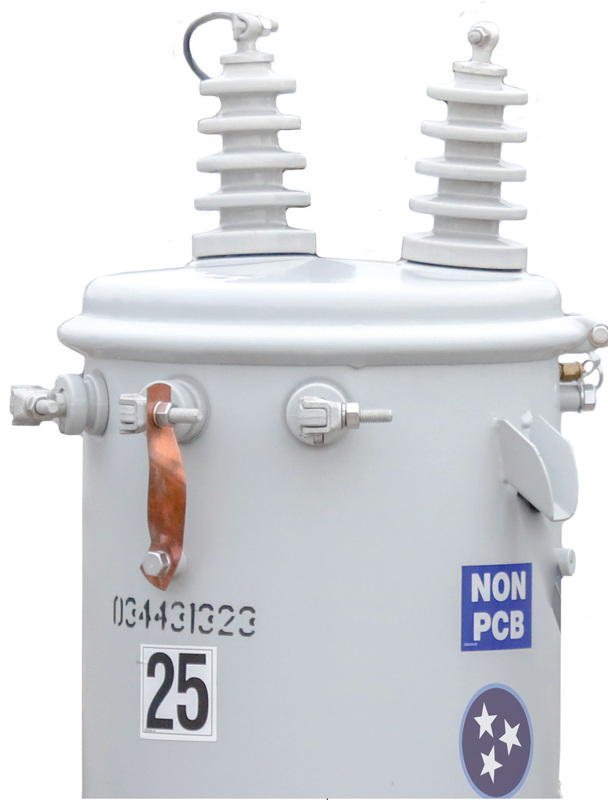 Another transformer is used outside your home to bring down the voltage again. This allows energy to come into your home at a voltage that is safe and manageable.